After nearly 5 years with the company, Engineering Director Mark Lucovsky is leaving Google for a role with VMware, we’ve learned. Lucovsky has been an integral part of Google’s APIs, including the all-important Search APIs. Before Google, Lucovsky worked at DEC and then Microsoft for 16 years, eventually gaining the title of “Distinguished Engineer.” He had been the principle architect on Windows NT, which would eventually evolve into Windows XP. “I wrote most of the kernel executive, kernel32, and the Windows API,” he told StoneTemple Consulting in an interview two years ago. 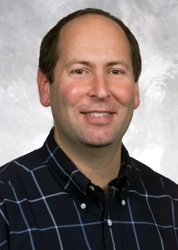 Lucovsky was also the architect of Microsoft’s Hailstorm project to port older Microsoft products into .NET. It’s a project that’s been named as a precursor to the current open web movement. But Lucovsky may be best known for the role he played in a complete and utter meltdown that Microsoft CEO Steve Ballmer once had. As the NT architect, Lucovsky was clearly pretty vital to Microsoft, so when he went in for a meeting with Ballmer in 2004 to let him know he was leaving, you can be sure the CEO was a bit on edge. “Just tell me it’s not Google,” Ballmer reportedly said according to court documents (for a case surrounding another Google ex-Microsoft hire). When Lucovsky said it was Google, Ballmer allegedly picked up a chair and threw it across the room. What he apparently said next, will live on forever in Internet history. A house of cards that still stands. And one that will presumably keep standing after Lucovsky’s departure.